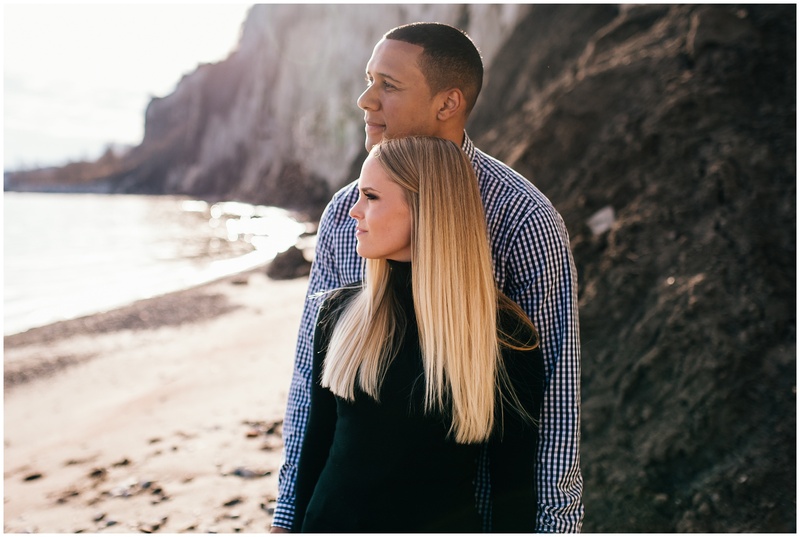 Scarborough Bluffs is one of my favourite spots for engagement sessions, particularly in the warmer months. I usually steer away from waterfront sessions during the winter. The harsh weather over wide open space and those windy days, paired with stiff fingers and faces definitely make it challenging to relax be in the moment together. With all of this in mind we decided to go ahead with a beachfront session in February. I had envisioned a snow dusted beach and overcast skies. Instead we got the most perfect day. Calm winds, sunshine and mild weather. I’m not complaining about dropping jackets for this balmy winter session. Although, so much mud. Which is why the bluffs were alllll ours. Footwear may have been sacrificed to reach our destination. L&S may have also walked through icy knee deep water to avoid going back through that mud. 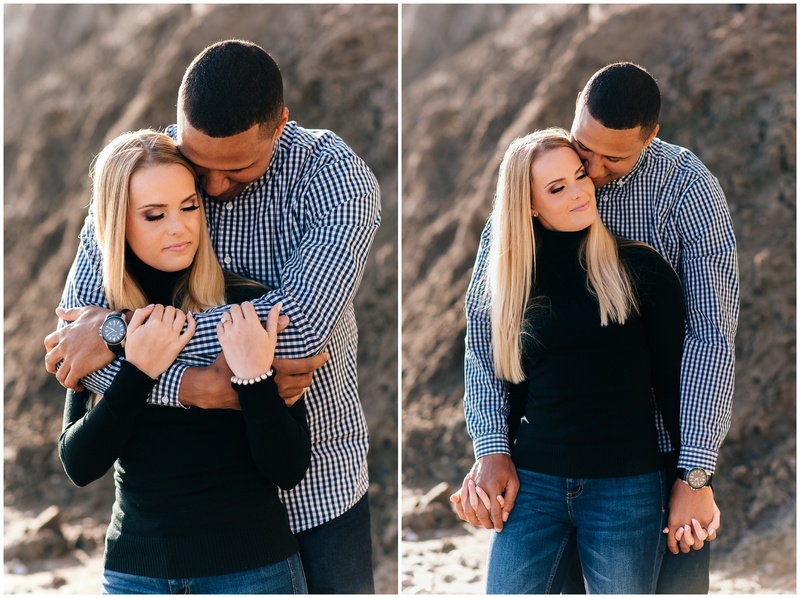 It feels like it was just yesterday that we were designing their save the dates, and now we are one week out from their wedding day. 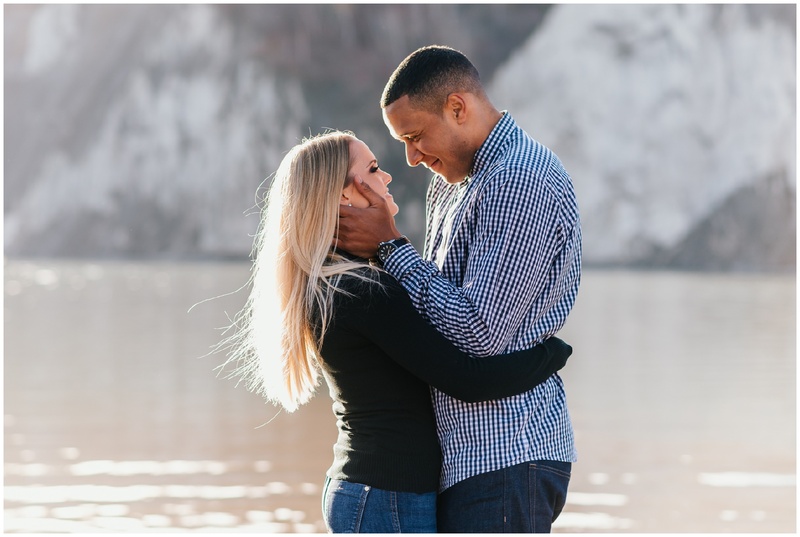 Sharing a few favs before we celebrate their New Years Eve Wedding at One King West in Toronto in next week! !